Material: Shell fabric: 60% polyester, 40% wool. Lining: 100% polyester. 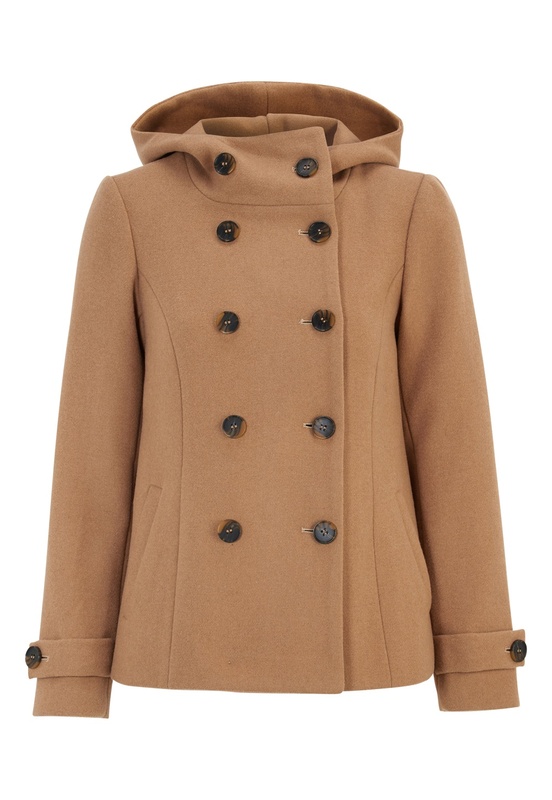 Gorgeous coat from HAPPY HOLLY. Length from shoulder: 67 cm, bust 102 cm, in size 38.